Does your dealership want to pay less money for more traffic? Want cheaper, better paid campaign results? Of course you do, and the path there can be summed up in just two words: Quality Score. It’s basically Google’s way of indicating how well your ads meet the needs of your potential customers. Think of your Quality Score as a kind of relevancy barometer that lets you know when your ads could be improved to gain better visibility and a higher CTR. How does Quality Score impact your PPC ads? Increased Visibility — Quality Score determines your ad rank. If you’re able to rank first in that highly coveted top position of the search results, you’re laughing! Increased visibility means that your dealership’s ads are far more likely to be seen (and therefore clicked). Lower Cost — Google loves to have high-quality ads appear in its search results, so it rewards high scoring campaigns with a lower CPC (cost per click), which generally leads to a lower cost per conversion. Increased ROI — A lower cost per click and cost per conversion generally means that you’ll see a higher return on your ad spend. Therefore, the higher the Quality Score, the more conversion bang you’ll get for your advertising buck! No. Even if you’re bidding much higher than your competitors, they could be outranking you in the SERP for a much lower cost based on their high quality score. To dive deeper into how Quality Score can impact your campaigns, check out Wordstream’s 2018 post: Hacking Adwords. 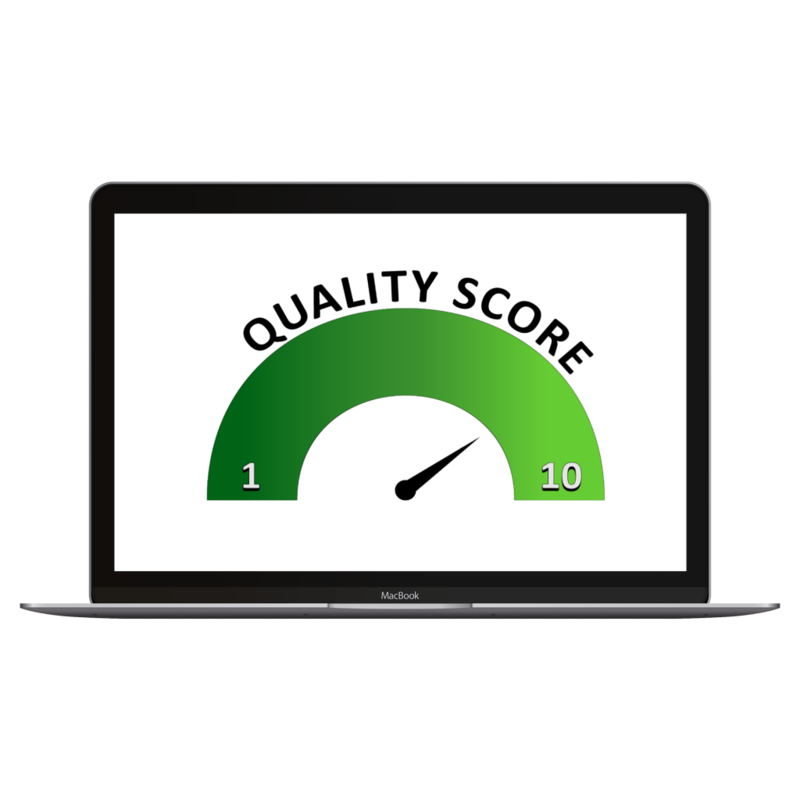 There are many actions your dealership can take to begin improving its Quality Score, but just remember that it’s an ongoing process that’s never really over! Ad Text — Write compelling ad copy. One of the biggest factors determining your Quality Score is click-through-rate, so make your ads clickable by including enticing, relevant copy. (Tip: numbers and dates often work well here!) To optimize ad copy, run multiple ads in one ad group and test them against each other over time to determine the top-performing text. Landing Page Optimization — Landing page loading time will impact your Quality Score. Having too many images or uncompressed images often leads to slower page speeds, which nobody wants to wait around for. Be sure to optimize your LPs so they’re quick to load! Consistent Messaging — In addition to being visually compelling, a landing page should also be aligned with the ad that led there. Be sure that keywords and phrases on your landing page match your ad copy. It lets people know that they’ve come to the right place and increases the likeliness of conversion. Also ensure that your dealership has included a very clear value proposition. Let potential customers know exactly who you are, what you’re offering and why it’s valuable. Specificity is key! Location Targeting — Your dealership’s success is directly tied to its physical location. Make sure that your ads are only targeting areas within the same geographic location to maximize your CTR. If ads are showing up for people across the country who are not interested in what you’re offering, your CTR is going to decrease, causing your Quality Score to take a hit. Utilize Expanded Text Ads and Extension — Google now offers more real estate to write compelling ad copy. Utilize all the space given to provide as much relevant information as possible by including ad extensions and sitelink extensions. More text means greater visibility, which also increases your chances of a click! Optimize, Optimize, Optimize — Always. Higher quality scores lead to a lower cost per click (CPC) and better ad positioning. 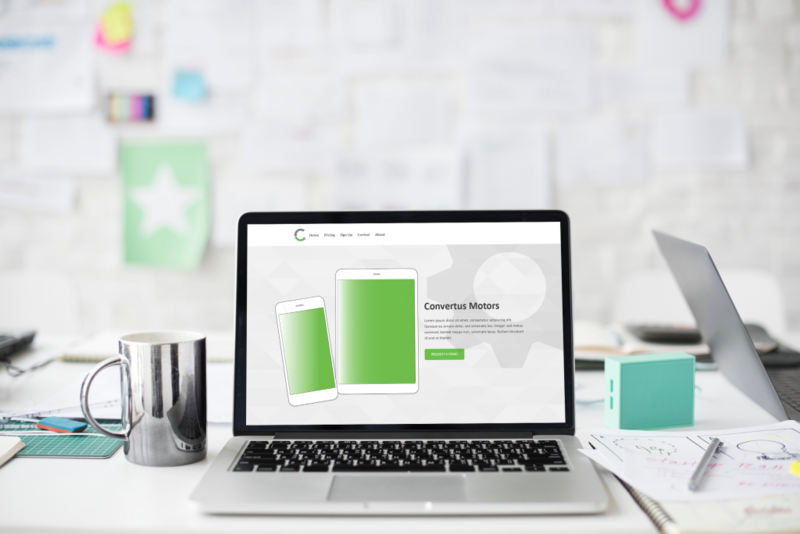 So, if you do everything you can to make your ads highly relevant, specific, and clickable with equally awesome landing pages, your PPC ads will perform at a much higher level. Don’t worry if you don’t reach that highly coveted 10/10 score, though. It’s a tough one to reach consistently. A score of 7 is pretty damn good. Still a little unsure about all of this optimizing nonsense? Work together with our Paid Search team to create killer ads and maximize your Quality Score. Get in touch with us and let’s discover the most effective route to position #1 in the search engine results page.